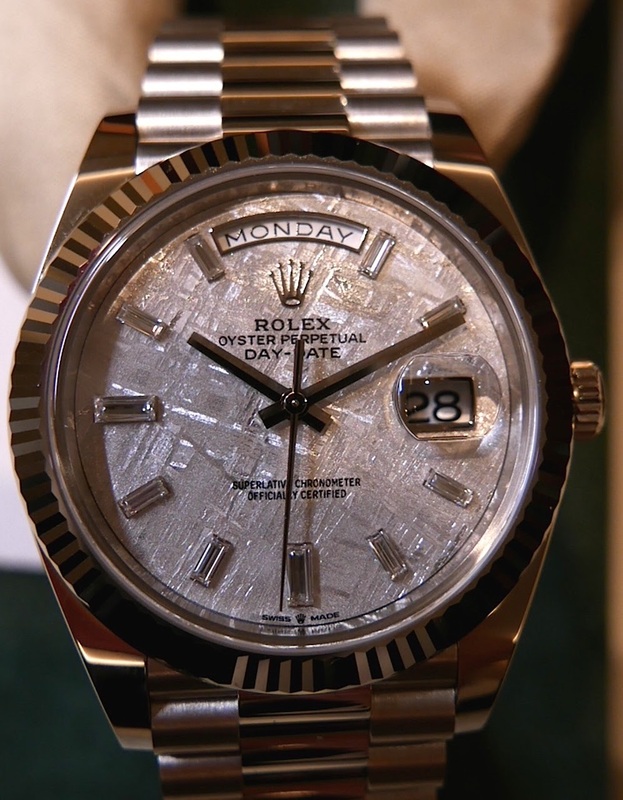 "I just wanna Rolly Rolly Rolly, My Rolly don't tick tock, it just glide"
Rolex, expect the unexpected. At this moment the company could be said to be in extremely rude health. 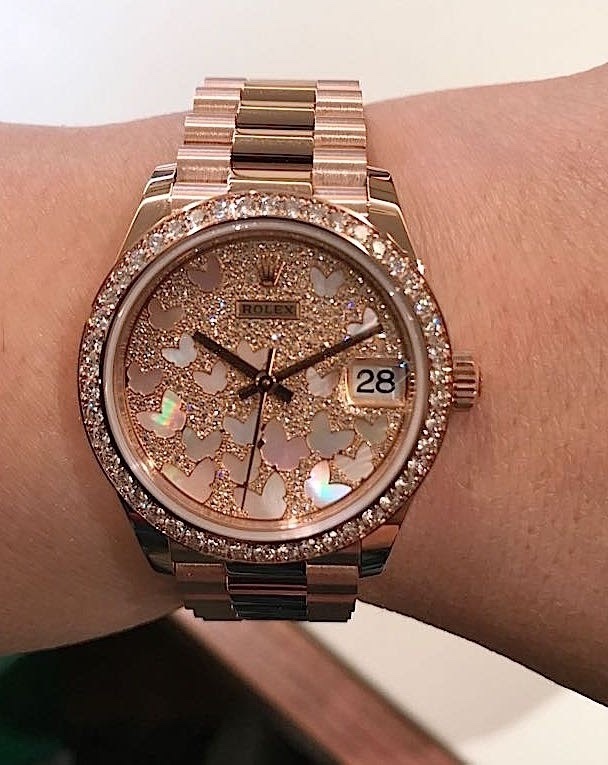 You can not for love nor money it seems get a sports "Rolly" maybe unless you are rapper, tennis player or famous Golfer perhaps. Maybe all the brand ambassadors took them? So the big news, Pepsi, not Coke (the drinkable type). The world goes mad. A steel Pepsi. Every journo wet themselves, dribbling.... well they need the advertising revenue. 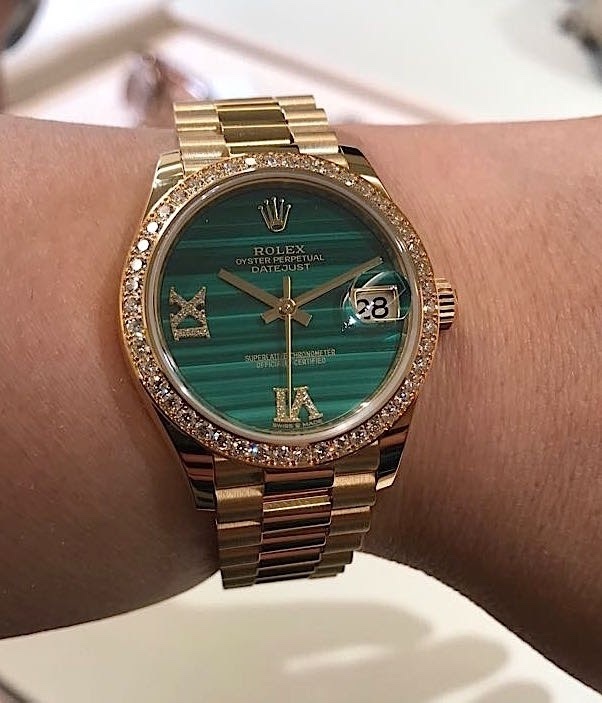 Rolex maybe in rude health, but in a sense I am thinking Emperor's new clothes. 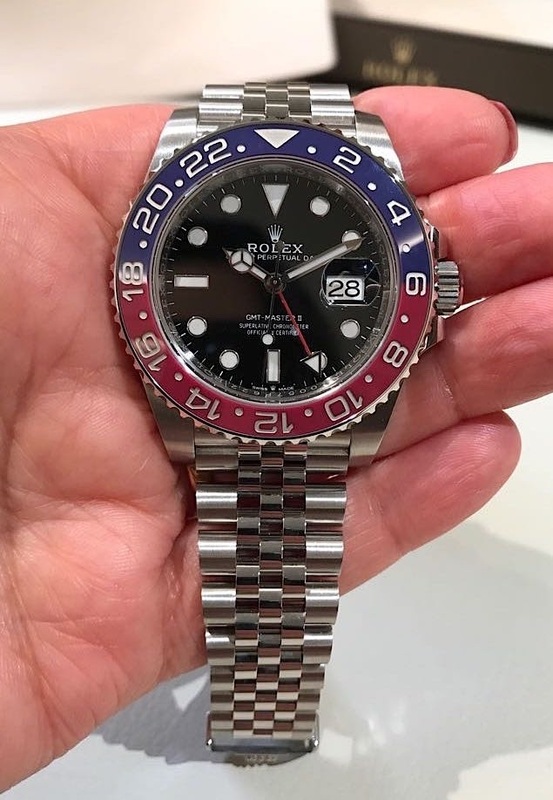 The new GMT is very nice, pay a premium nice- NO WAY. Wait 5 years nice- no keep it. 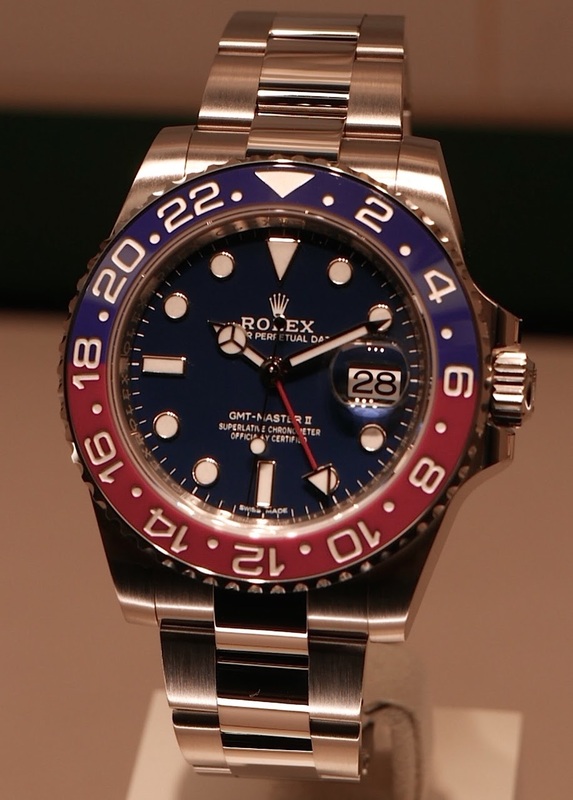 Seriously, I would take a 16710 Pepsi any day or better still a vintage 1675. 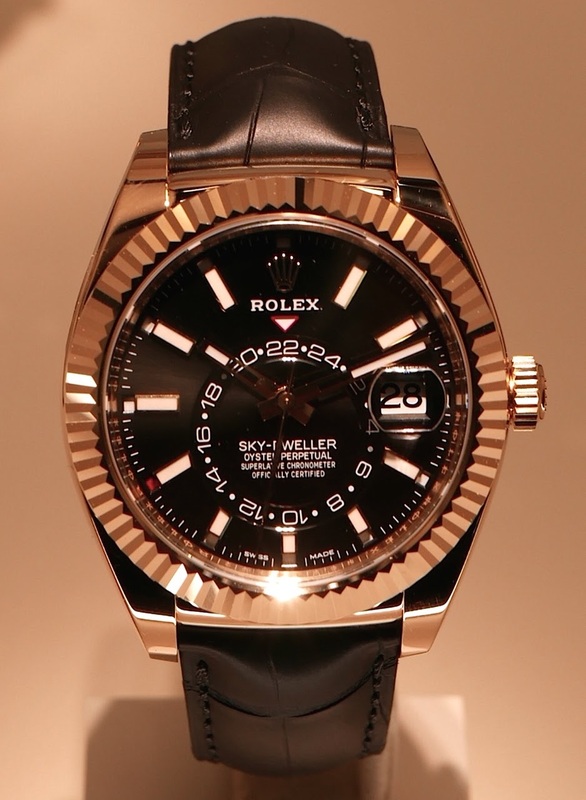 Why this watch, only so you can say you got the latest Rolly. 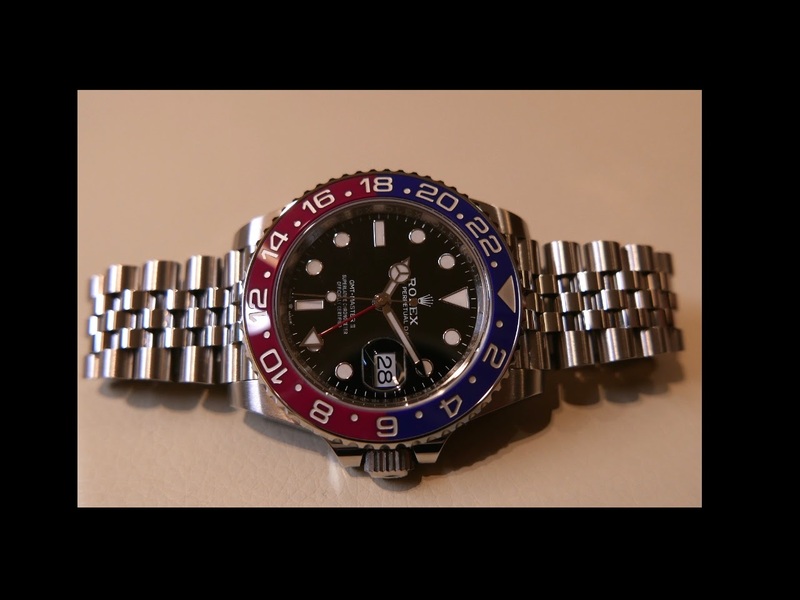 The bezel is very hard to make for sure, getting the colours to a nice red and blue probably impossible. It shows. 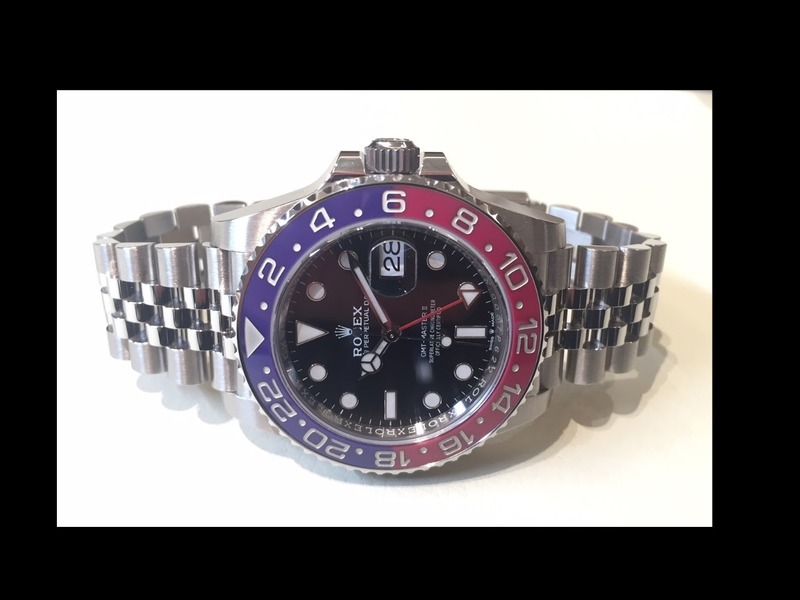 Its more pink and purple. Don't get me wrong, its made like a tank. 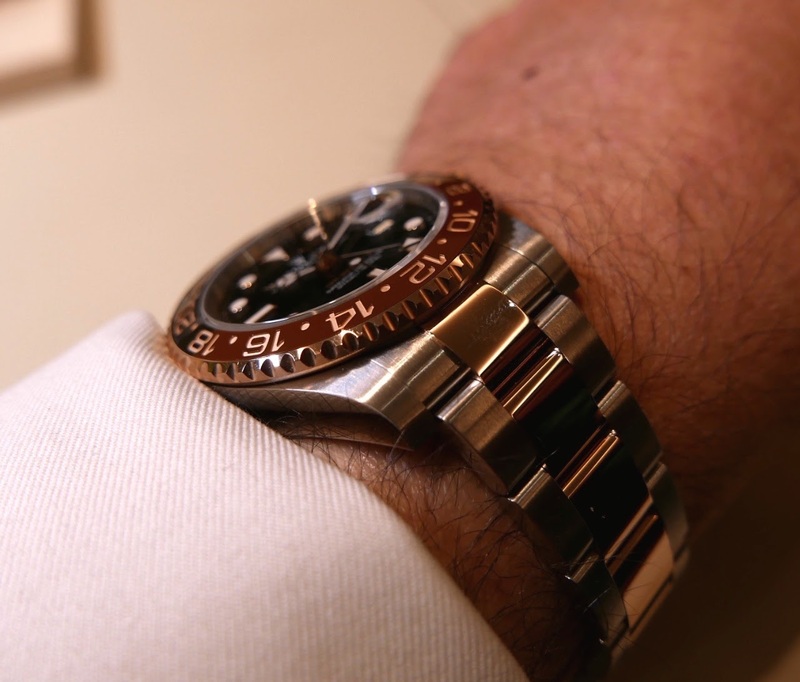 The movement is the new calibre 3285, and its a wonderful movement. Oh and 904 steel is now Oystersteel. A little pretentious if you ask me. 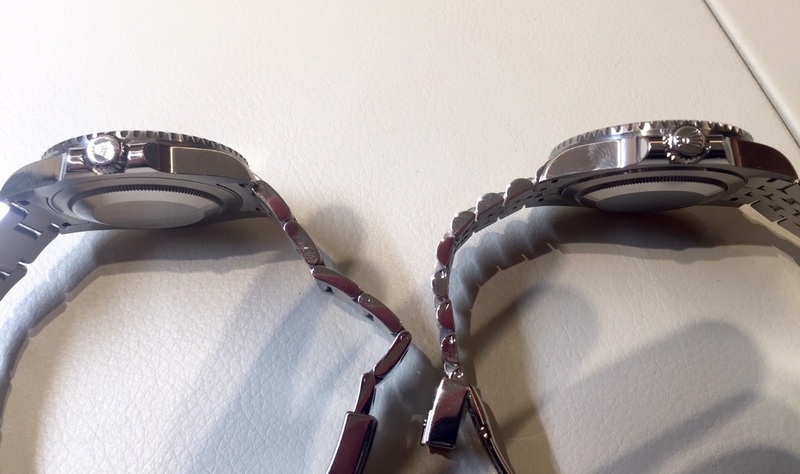 Now the bracelet, a new Jubilee with comfort link and safety clasp. Its a good clasp. I really dislike the way it joins the case. 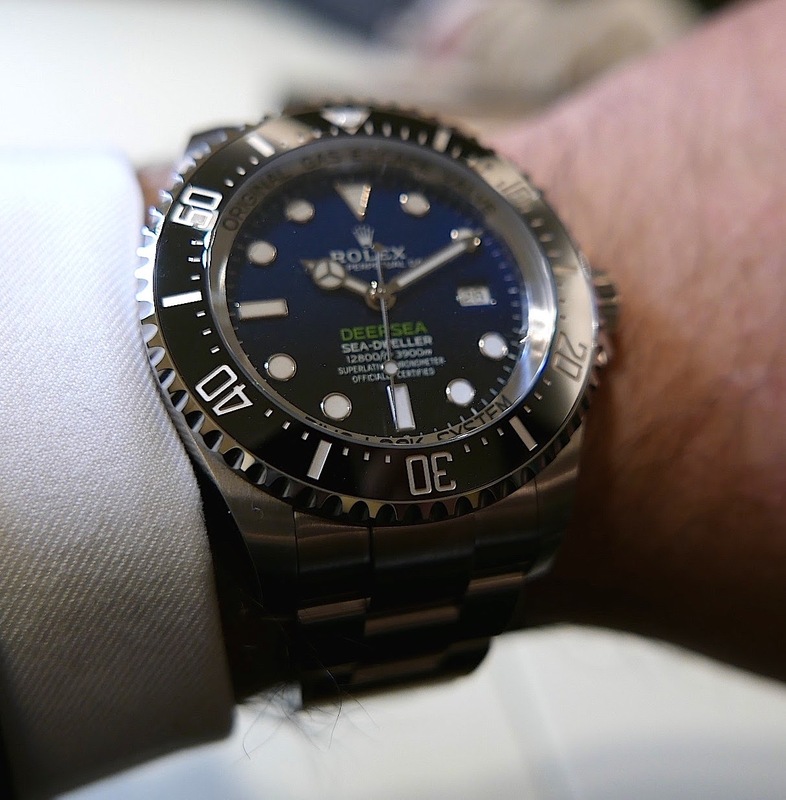 It looks clumsy- much like the ill fated Sea Dweller 4000. Side by side with the "Batman", no competition for me. 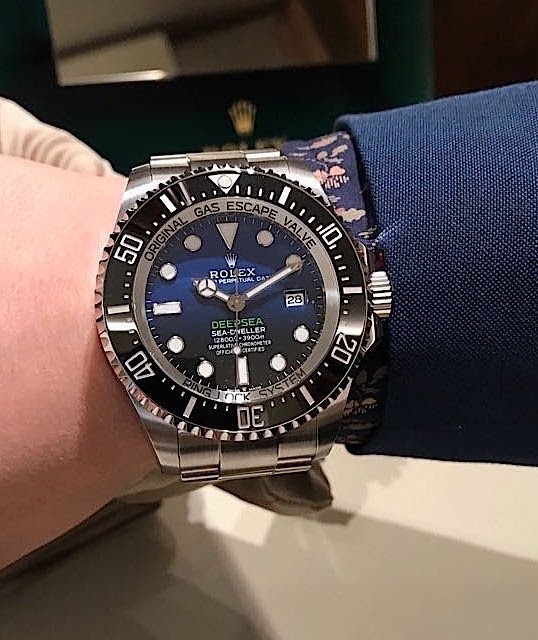 If the "Batman" gets the new upgraded movement, I would put my money in that one- not that it would be available anyway. 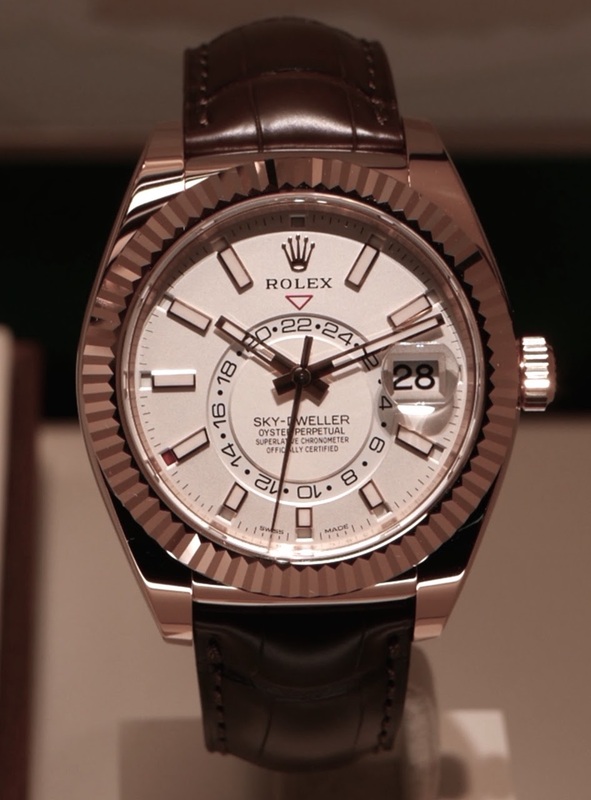 Its a good watch, decent, but not worth the hype. Paid for at retail price, I would say positively yes. Pay a premium and I think your money, your loss. 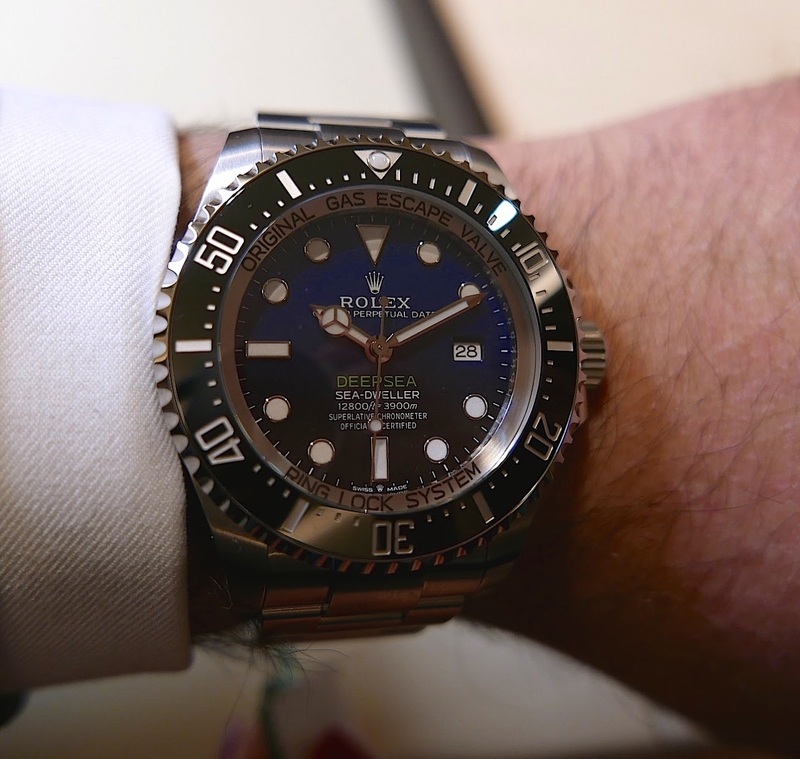 The Rolex bubble will burst IF people stop buying premium prices from grey dealers. It will crash in an instant. 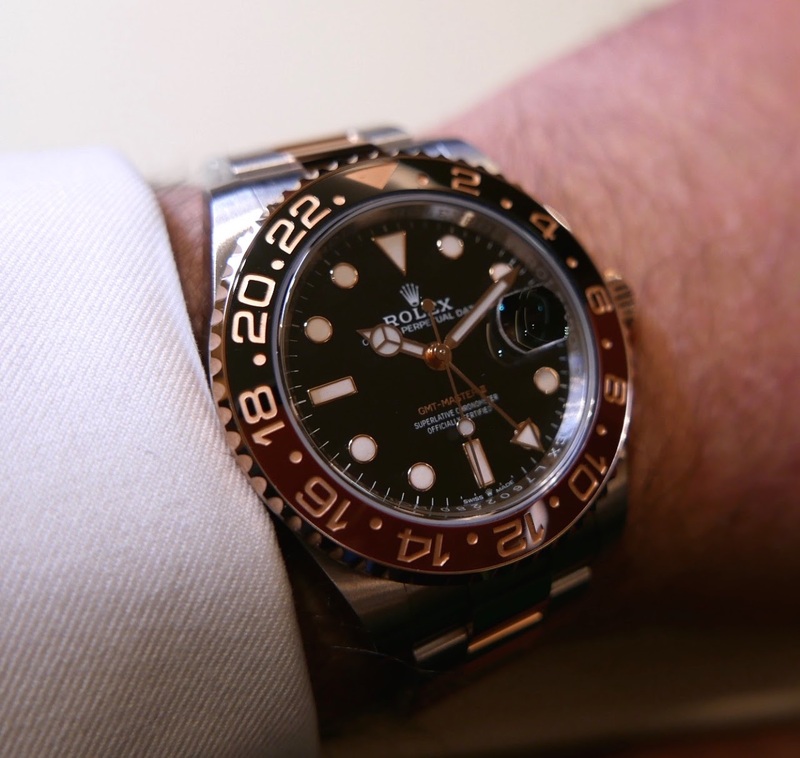 Dealer will need to offload, sell without premium and stop paying flippers a profit. 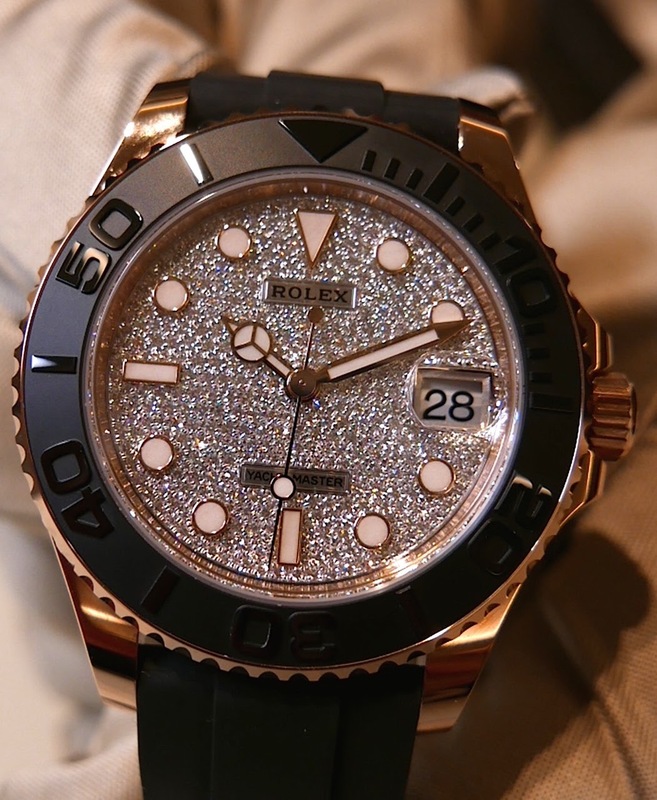 Trouble is too many want to be A-list celebrities with the latest "Rolly". My advice be a connoisseur and get a vintage. 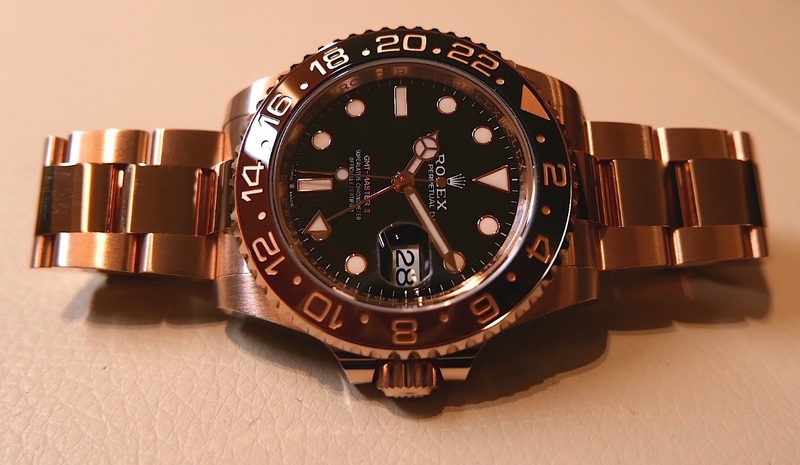 Now in stark contrast to the Pepsi, is the new Everose gold and Oystersteel "Rootbeer". This was stunning. 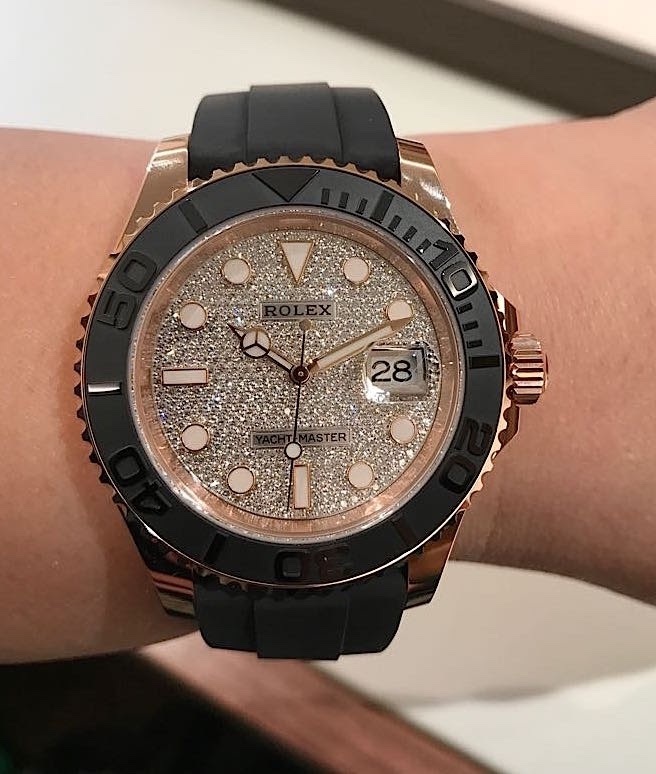 Seriously a beautiful watch on an Oyster bracelet. No doubt being bi-metal it will be fairly readily available. 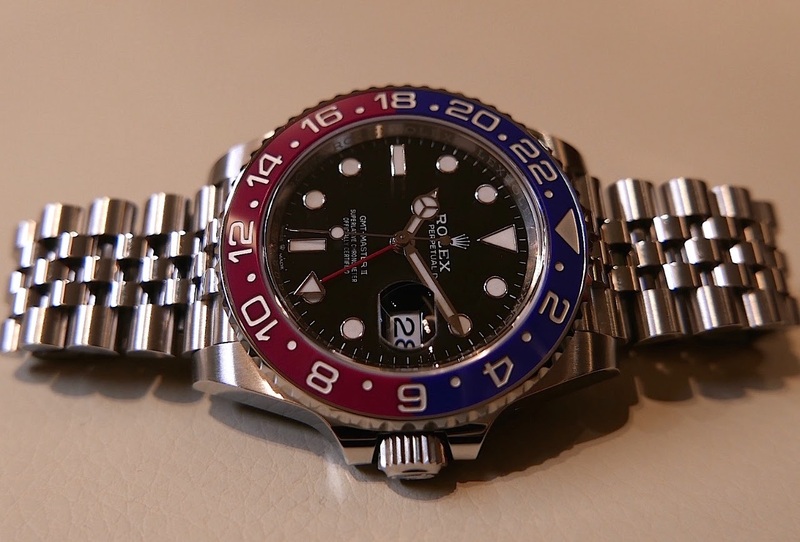 The ceramic bezel colours were spot on. 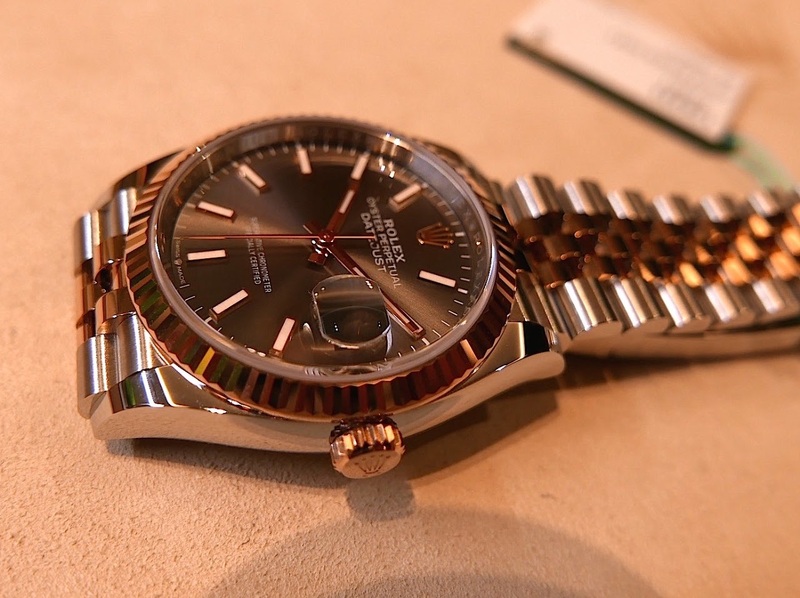 Equally stunning was the Everose model. 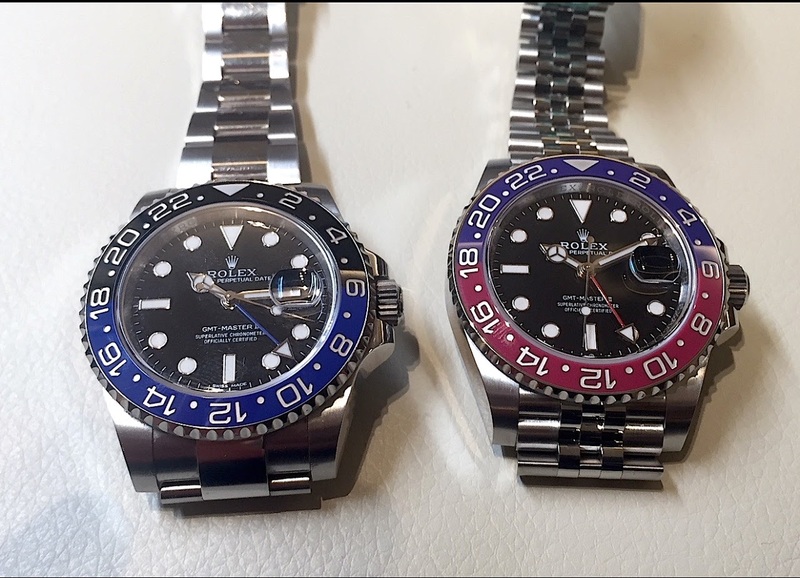 These two were the standout GMT for me. 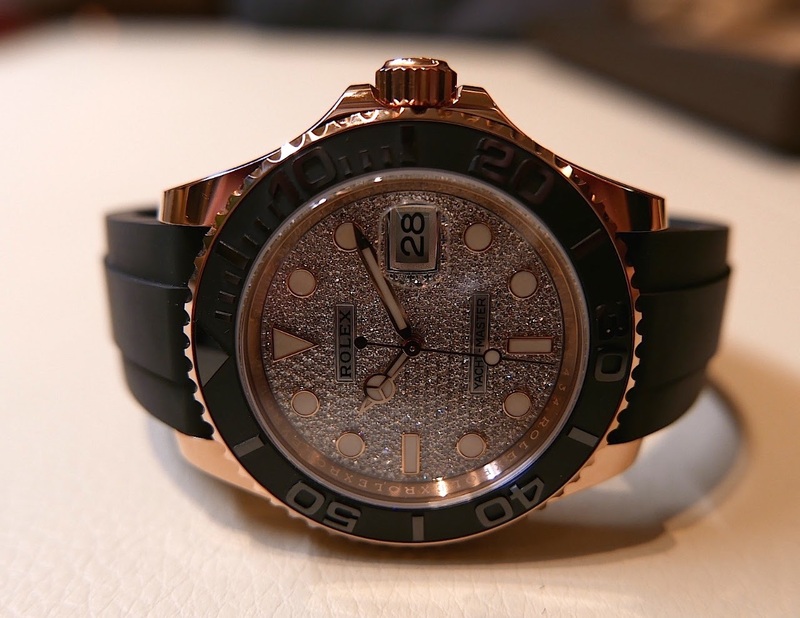 Next up, the new Sea Dweller DeepSea. 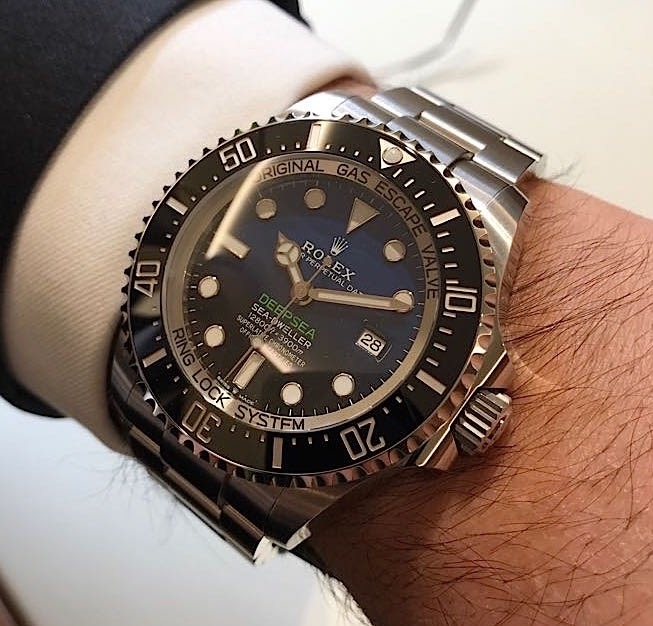 For those that thought they won the lottery with the JC DeepBlue being discontinued, get ready to weep. Not only does it stay, the new update is better in every way. 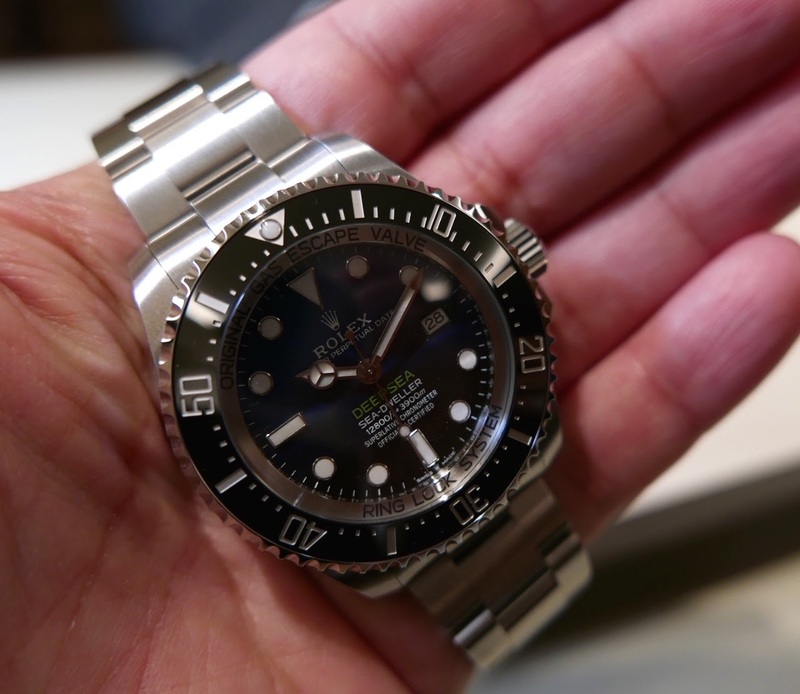 The wider bracelet at 22mm is better, the bezel is wider like the SD 50th. But its still too top heavy. 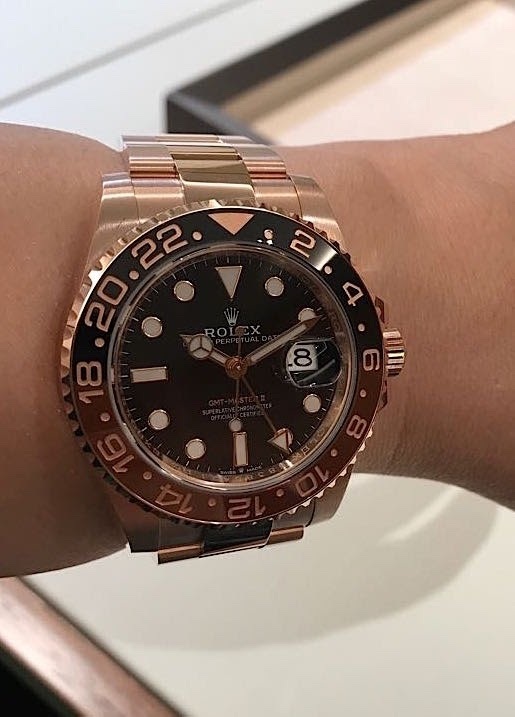 It also has the movement update. 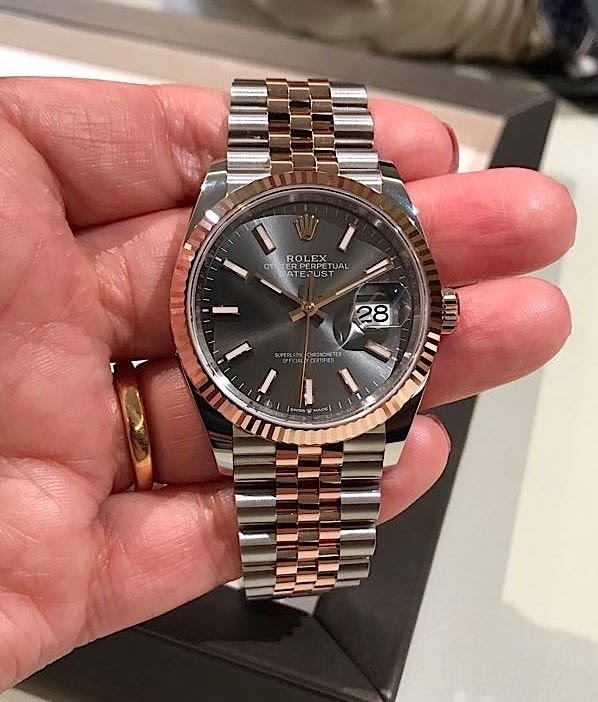 Interesting fact- all new models with the new movement have a Rolex crown between the Swiss Made at the bottom of the dial. 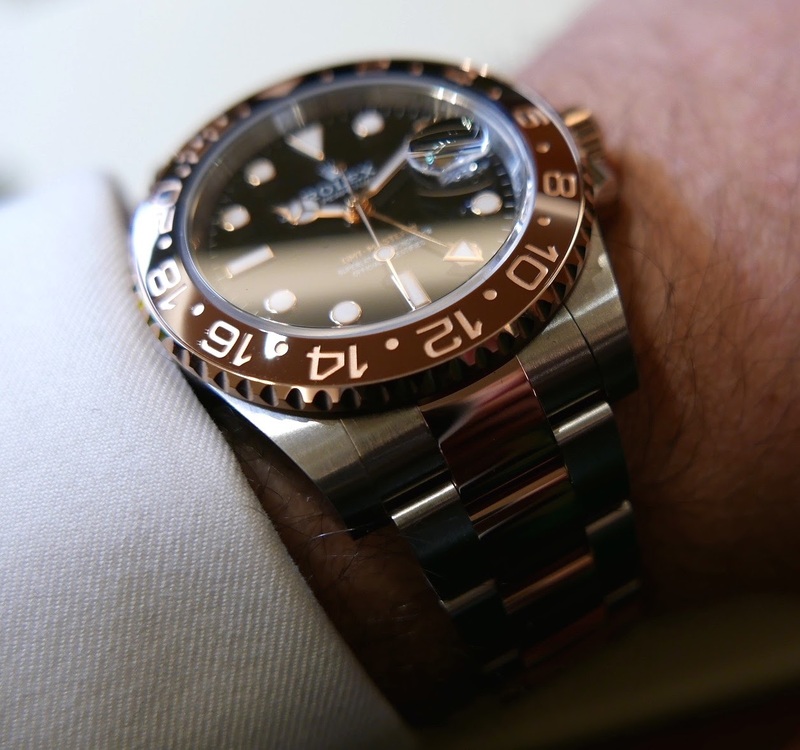 Now perhaps the most important watch. 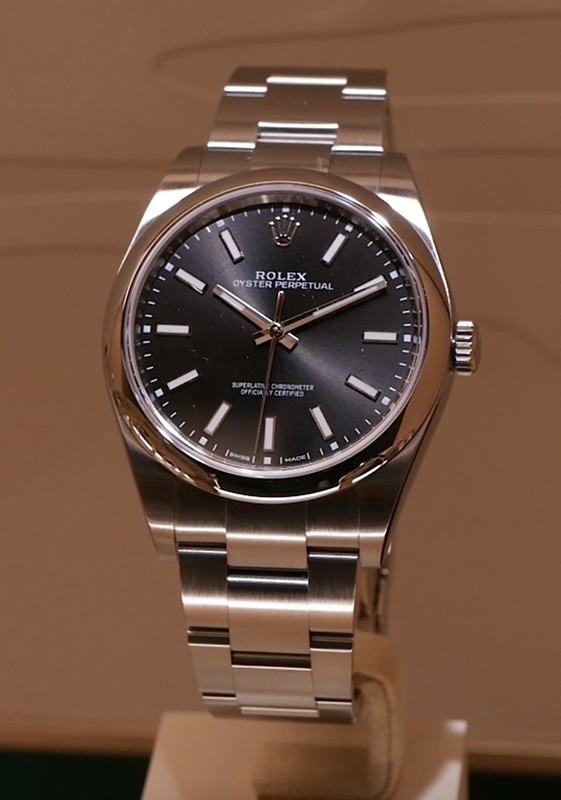 The bi-metal Datejust 36. 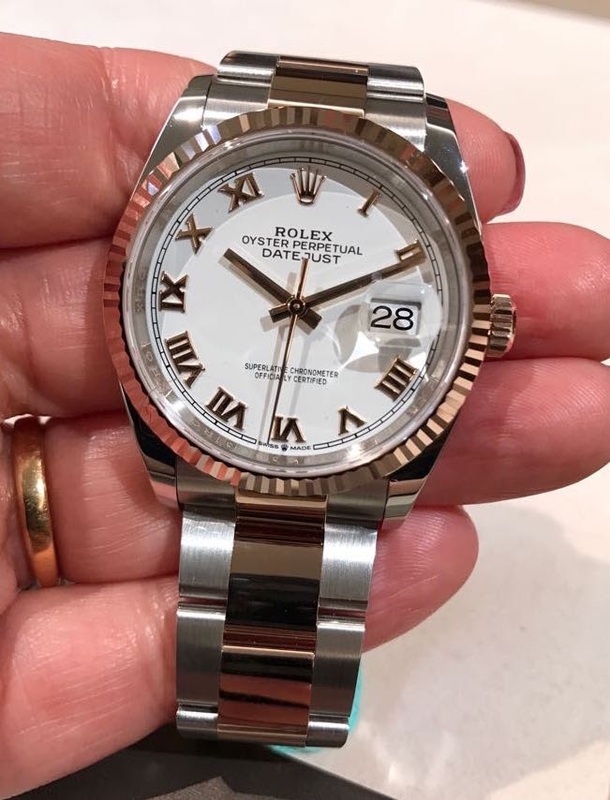 One of the pillars of the Rolex collection, the new references contain the new movement and slightly narrower lugs- for a better shine apparently and the hidden clasps gone. A shame if you ask me. I think 2017 was a hard act to follow with the Sky dweller and Sea Dweller 50th. And it showed. 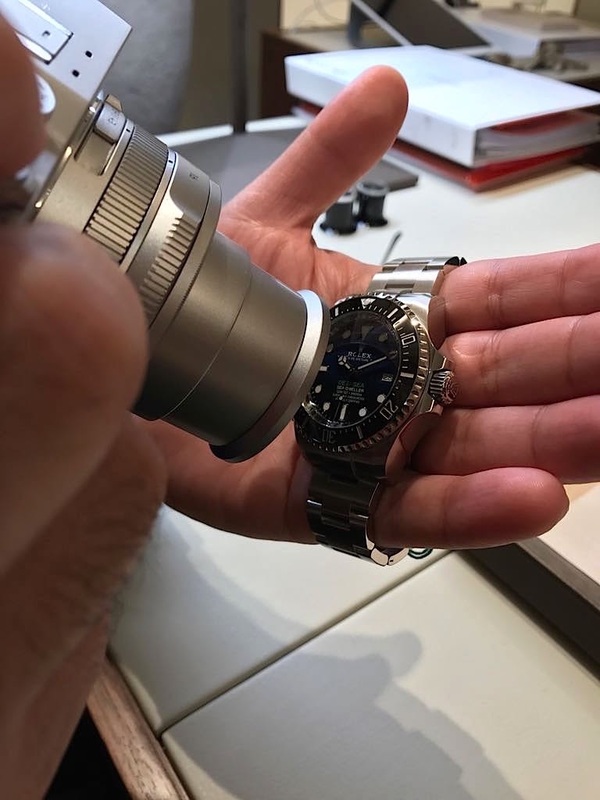 Honored by the GMT-Master himself :-) Merci, Nico. Glad to have this one. That second picture is lovely. Well done. About 5 years old pic :-) I miss that specific windowlight. Thank you. Thanks for the Report! 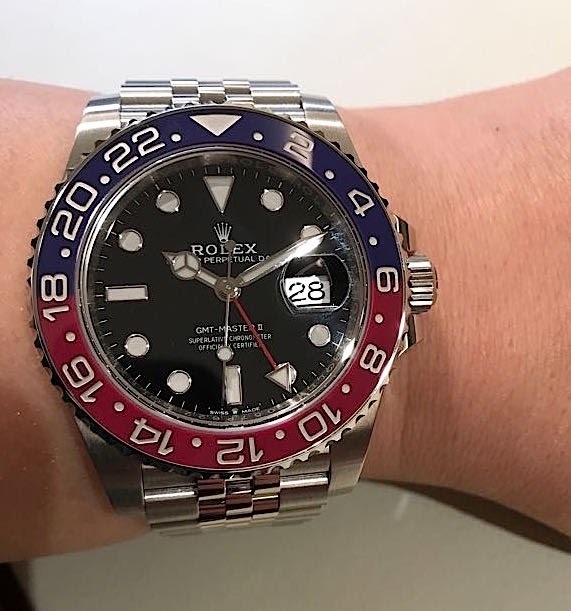 The Everose GMT is a knockout for me. Wish there was a jubilee version for that. Thanks for the review, my friend. 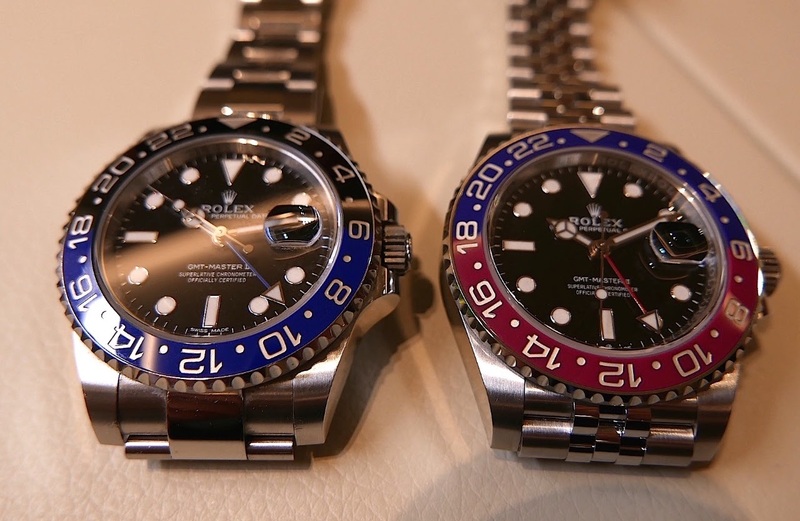 The two watches which intrigue me the most? 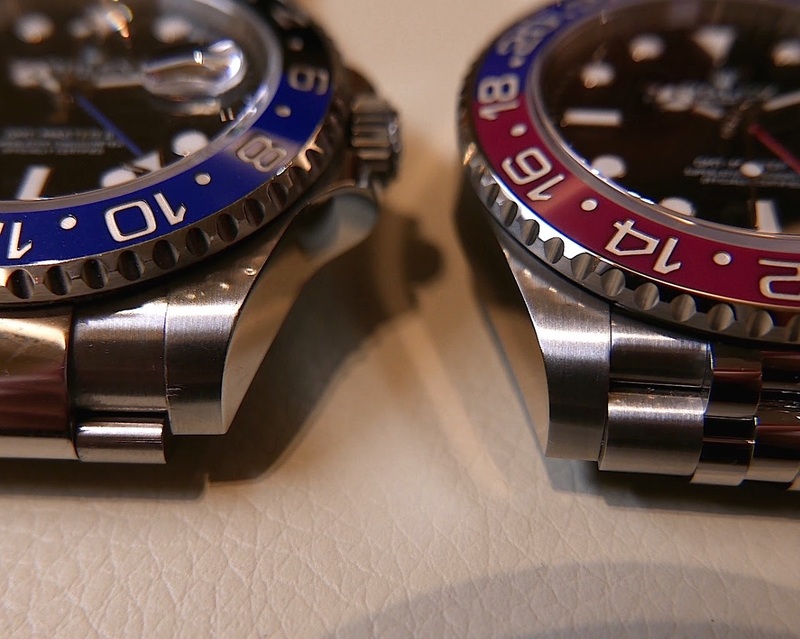 The new Deep Sea Dweller Blue, and the GMT MASTER Steel Pepsi. 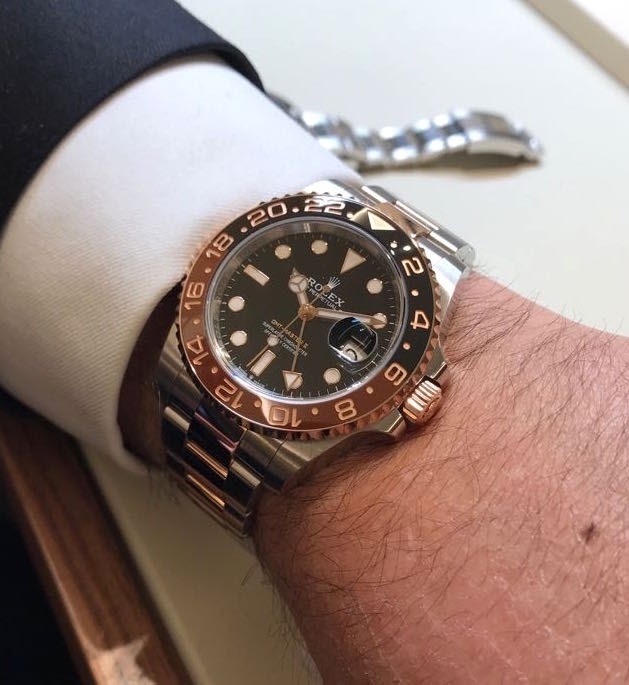 Two watches I have to see in the metal. Yes, I agree but just keep loving it !